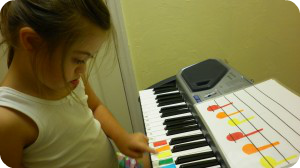 Music therapy intervention: Piano lessons using color-coded notation. 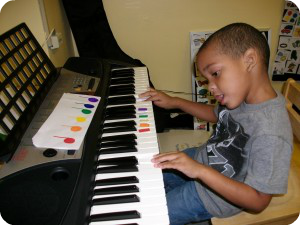 In addition to teaching basic piano skills, this musical experience helps children learn to identify and match basic colors. 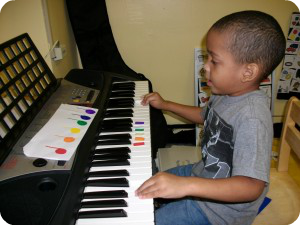 Music therapy intervention: Piano lessons work on improving fine motor skills, finger dexterity, and finger isolation. These skills are critical when learning to write. 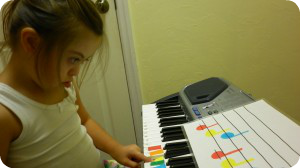 Music therapy intervention: Piano lessons using color-coded notation. 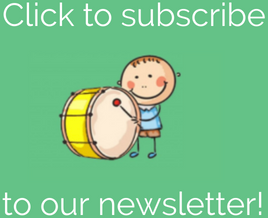 In addition to teaching colors and basic piano skills, this musical experience helps improve finger dexterity and increase sustained attention.